I put out an extra article yesterday to cover the announcement that Flybe is abandoning its own reward scheme and will be awarding Avios points from Monday 27th October. Today I want to run through some of the key questions and answers that you may have. Flybe put out its own FAQ as well although you’ll find it doesn’t answer the questions in the same way as I do! How many Avios will I earn when I use Flybe? Not many. The cheaper ‘Just Fly’ and ‘Get More’ ticket types earn 2 per £1 / €1 spent. ‘All In’ flexible tickets earn 4 per £1 / €1. However, this excludes ‘Government charges’. It is not clear what they mean by this. I looked at a £120 return flight from Southampton to Hamburg. The base fare is £65. You definitely earn Avios on this. Air Passenger Duty is £13 in the UK and £5.90 in Germany. There is also a £3.20 German security tax You definitely do NOT earn Avios on this. What about the £10.86 of Southampton Airport fees or the £7.60 of Hamburg Airport fees? These are NOT ‘Government charges’ after all. More interestingly, what about the £14 of ‘fuel surcharge’ which goes straight into Flybe’s pocket? You definitely will not earn 240 Avios from a £120 Flybe ticket. You will earn at least 130 Avios (base fare of £65 x 2) and possibly as many as 196, depending on what Flybe decides to count as part of the fare. You will NOT earn Avios points on additional charges such as baggage fees. Remember that British Airways will give you a minimum of 500 Avios per flight so you earn at least 1,000 on a return trip. Flybe will be substantially less lucrative than flying BA. When do I receive my Avios? Here is an interesting titbit. Unlike every other airline I can think of, you will only receive your points when you have flown your return journey. The outbound points will not be posted after the flight. If you miss one flight on your itinerary, you will forfeit your Avios points for the entire trip. Can I earn Avios in British Airways Executive Club or Iberia Plus? No. You can only credit a Flybe flight to avios.com. The only exception is if you have booked a British Airways codeshare with Flybe under a BA flight number. You can credit such flights to BAEC. Since you cannot credit Flybe flights to BAEC, you clearly cannot earn tier points or any status bonus. The gap between what you would earn on a BA flight and what you would earn on a Flybe flight is a bigger if you have BA status because of the lack of status bonus. Avios earned in avios.com can be moved across to British Airways Executive Club free and instantly via ‘Combine My Avios’. Can I redeem Avios points for Flybe flights on ba.com or iberia.com? No. Flybe redemptions can only be booked via avios.com. You will need to use ‘Combine My Avios’ to move your points across. How many Avios will I need for a reward flight on Flybe? The same rules apply as for other airlines. Flights under 650 miles per leg will cost 4,500 Avios points per leg and flights up to 1,150 miles will cost 7,500 points. Can I get Reward Flight Saver on Flybe flights? No. This is going to make many Flybe redemptions poor value for money. Take a look at my other post today for some examples. Will Avios redemption seats on Flybe include a luggage allowance? Yes. When booking you will see this message: “Please note that your ticket will state 0PC for baggage allowance. However, these fare types are inclusive of 20kgs of checked baggage, in one bag only”. What are cancellation fees for Flybe redemptions? Good question. 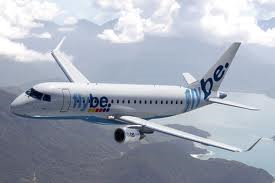 Avios.com states “In the event of cancellation, Flybe will charge a refund administration fee of GBP25.00 per person per sector. This fee will be deducted from any refund amount due to you.” As it is ‘per sector’ a return trip has a £50 fee. I am guessing that avios.com will change its wording on 27th October and that the fee will be £35 per return flight. I live outside the UK. How can I redeem Avios for Flybe flights? You can’t, because avios.com membership is for UK residents only. Nothing stops you opening an account with a fake UK address, of course. ‘Combine My Avios’ should still work as long as your name, email address and date of birth match your BAEC account. I used to collect Rewards4All points but I live outside the UK. Can I earn Avios points? No, see above. Your loyalty is no longer required! Can my Rewards4All points be turned into Avios? No. This is a poor decision in my opinion and will lead to an unnecessary backlash. The only upside is that, until January 9th, you can still choose Rewards4All points instead of Avios points. This will allow you to build up to the exact number you need for a specific redemption. You need to redeem your Rewards4All points by 31st March or they will be lost. The last date to fly a redemption will be 31st October. I currently redeem Rewards4All points for Flybe lounge access? Will I able to use Avios for this? What happens to my Flybe credit card? See my other article today. They are launching a new reward scheme just for the credit card. Why does Flybe insist on spelling Avios as AVIOS? I genuinely have no idea ….. If you want to know more, the Flybe home page for their Avios information is here. Is it worth redeeming Avios points on Flybe? Great piece of work Raffles, in such a short time. So this looks like window dressing from FlyBe. Getting into bed with Avios was a good opportunity for FlyBe to prove itself as a mainstream carrier in the UK, but their marketing boys seem to have misread the loyalty market. The loyalty market is wider than H4P readers. That’s why you get the occasional letter to the travel section of major newspapers complaining about how Avios are rubbish. Firstly I do wish that the word tax was not used. This money does not go to the treasury it is pocketed by the carrier or by Avios. Secondly the cancellation administration charge of £25 per person per sector is utterly scandelous. It would cost a family of 4 £200 to cancel a domestic flight and this fee must be disproportionate to work required. I am no lawyer but wish there could be some sort of class action to challenge these fees overall as we do seem to be getting ripped off in the UK. These fees were once a fuel surcharge but despite record low oil prices the costs have not fallen. In any event many airlines and BA in particular no longer call them fuel surcharges but now carrier fees. Even when the operating carrier does not charge fee or indeed there are any taxes or fees, BA often charge hundreds of pounds for a booking and then retain that money. This surely cannot be right. LHR-TXL-LHR in BA economy costs 9,000 Avios. GLA-LHR-TXL-LHR-GLA requires the same amount of Avios which is great for people living in the regions. Will Flybe offer anything similar? With regard to your statement above the answer is no. What a pity. Yeah but this (free domestic on BA redemption + additional 500+ avios for paid flights) is because the only place BA flies from Scotland is London. D.3.1 Changes to bookings for Reward travel on flights operated by Airline Partners are permitted via our Customer Services Department only in respect of date, time, class and service. Such changes may only be made by the Member or an individual nominated in accordance with Section B.4.6. If more than one price option is available for a flight, it is not possible to change the price option chosen by a Member after a booking has been made. All permitted changes are subject to capacity limitations and may not be made after the time 24 hours prior to the scheduled departure of the first flight in the Reward travel itinerary. Unless otherwise stated a per person fee of £35 will be payable for each permitted change. For the avoidance of doubt, name changes are not permitted. D.3.2 The route applicable to a Reward travel booking may be changed provided that the new route selected would, as at the date the change is requested, require the redemption of the same amount of Points and/or cash as was redeemed in making the original booking. Route changes are only permitted for Reward travel bookings which (other than for the payment of taxes, fees and charges) are purchased using Points only. D.3.3 Unless otherwise stated if you have a standalone hotel, car hire or ancillary booking a per product fee of £35 for each change made will be charged in addition to any fees levied by the Partner. Changes are not permitted inside 72 hours of travelling. Some hoteliers,and ancillary providers may not allow amendments, in which case you will be required to cancel (subject to clause D.5.4 below) and re-book. D.3.4 If you wish to change your Eurostar booking a per product fee of £35 will be charged for each change made in addition to the Eurostar fees. D.3.5 If you wish to change a flight booking where you have used Points to obtain a discount on a cash fare, the published fare rules applicable to that booking will apply in addition to the £35 per person change fee. D.5.1 Unless otherwise stated a per person fee of £35 will be charged if bookings for Reward travel on Airline Partners are cancelled by the Member prior to departure. Provided a cancellation is made more than 24 hours prior to the scheduled departure of the first flight in the Reward itinerary the Points charged for the Reward will be re-credited to the Member’s account. D.5.2 If flight bookings for Reward travel are cancelled by the Member within 24 hours of departure, Points in respect of the Reward will not be re-credited to the Member. In the event you are prevented from travelling by an Event Beyond Your Control we will refund your Points provided you have an unused Reward, have informed us promptly and provided evidence of the Event Beyond Your Control and paid the applicable £35 per person fee. D.5.3 Failure to utilise a Reward flight i.e. “no show”, will result in the airline’s cancellation of any onward or return reservations and Points cannot be re-credited. D.5.5 A per product fee of £35 will be charged in addition to any fees levied by a Partner for any cancellations. on any non Airline Partner booking. D.5.6 Some of our hotels may have different cancellations terms to those given above. We will tell you if this applies to you when you make your booking and at this time you will be advised of the cancellation policy. D.5.7 If you wish to cancel a flight booking where you have used Points to obtain a discount on a cash fare, the published fare rules applicable to that booking will apply in addition to the £35 per person change fee. If you are due a refund any Points paid will be refunded first followed by the cash paid. The earn rate might be crap and the redemptions non existent or bad value, but it’s not all bad I guess. I suspect like most people I never collected their points anyway, so at least now I get something when I fly with them. Better than the nothing I was getting before but not no more than that. Has much changed here? Not really. All this big announcement gives us is the chance to earn a small amount of Avios per booking. This is a worse scheme for regular Flybe flyers as they would need to fly 70 return flights similar to your example above to earn a zone one return, and they can’t earn a lounge pass. There is very little change for the rest of us as redemptions were already allowed. Availability will possibly change, but we will have to wait and see which way it goes. I am hoping maybe the taxes etc may change when they officially start. Just checked ‘our’ European destination and suddenly there is amazingly good RFS/ Avios availability for 2015, even wrapping around school holidays! I check regularly and it’s not been this good for yonks. Worth a quick check on ‘your’ destination if you need to make plans. That’s pretty encouraging on the taxes front though and much better value than Flying Blue redemptions used to be on DND-LCY flights! It’s worth pointing out that avios.com membership is for people with an address in the UK, the Isle of Man or the Channel Islands. That may sound like pure pedantry, but of course it’s somewhat important as otherwise residents of two of Flybe’s principal destinations would be excluded from its new reward scheme. Just looked at flybe route Aberdeen – London City airport, a route I will use (LCY and Flybe both excellent in my experience) Costs 9000 avois plus £96.43 in tax. Putting same booking through flybe website, flight cost is £99.98. Hmmm saving £3.55 by giving up 9000 avois points, I think not. Plus I would earn points for a normal paid booking.